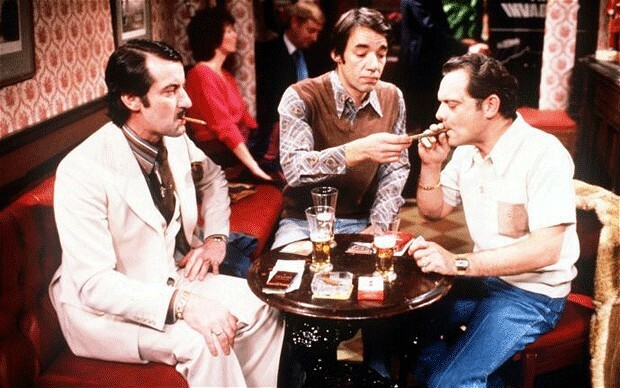 Boycie, Trigger and Del Boy in the Nags Head. This entry was posted in BBC, TV and tagged BBC, Comedy, David Beckham, Del Boy, Derek Trotter, funny, humour, John Sullivan, Onle Fools & Horses, Roger Lloyd Pack, tv, YK by The Ed. Bookmark the permalink.